There isn’t a vehicle that’s been subjected to more anthropomorphization than the VW Beetle. When the New Beetle launched in 1998, it went through the same phase of having googly eyes and floppy ears attached that the original air-cooled Beetle did its entire lifetime. 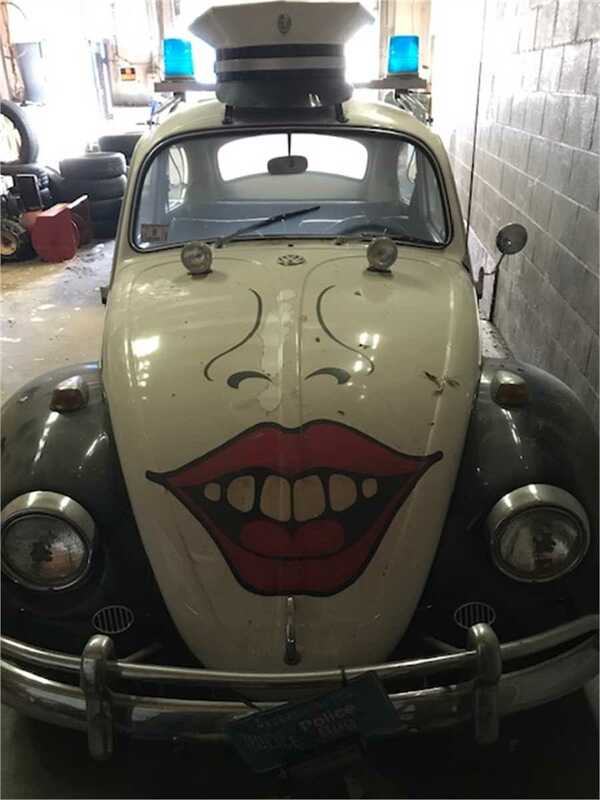 If you’ve ever longed to own one of these cartoon cars, the Town of Norwood, Massachusetts has the vehicle of your dreams. 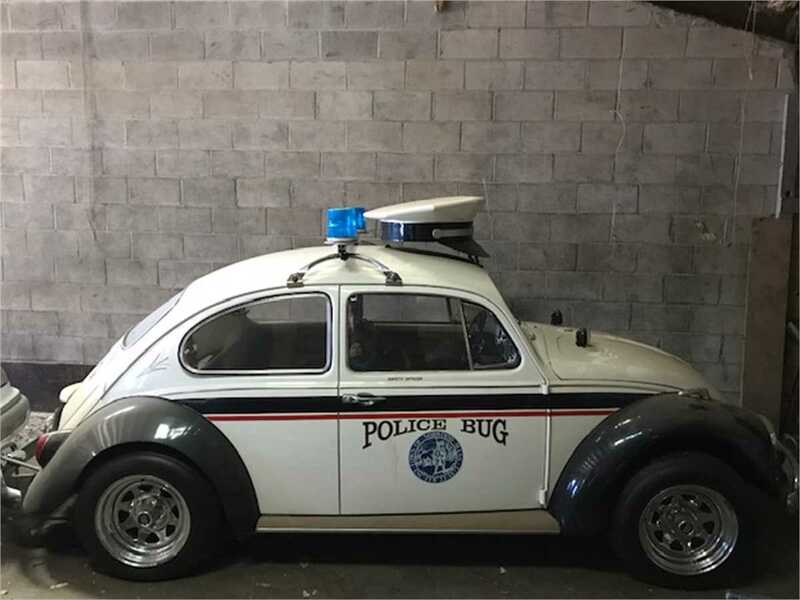 It started life as a 1967 Beetle, but in 1982, it was purchased by the Town of Norwood Police Department for use as a public relations vehicle, “used occasionally for parades & special events,” according to an answer to a question on the auction listing at Municibid, an auction service for municipal auctions. 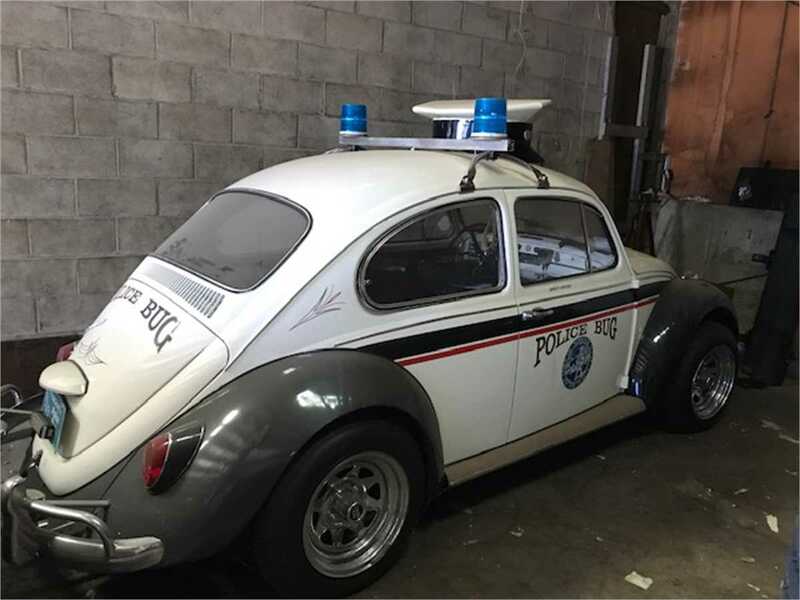 If you looked past the driving lights bolted to the hood for eyes, the nose and smiling lips and the police beacon, this would be a really clean VW Beetle on its own. It’s got just over 40,000 miles and appears to have no rust in the pictures. According to the description, the last time it was registered was in 2013. 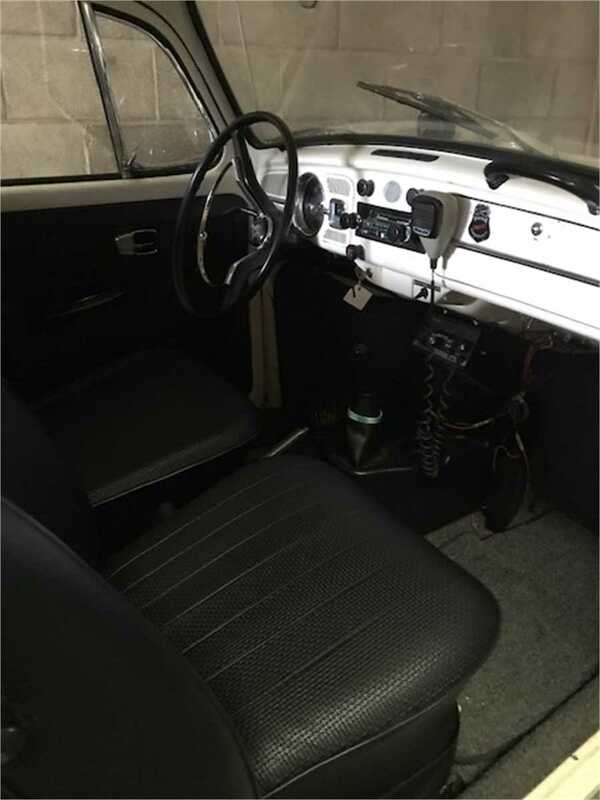 It’s got the original air-cooled, flat four-cylinder it left the factory with in 1967, and it’s a four-speed manual transmission, which is significantly more desirable than the clutchless “automatic” that would’ve also been available that year. 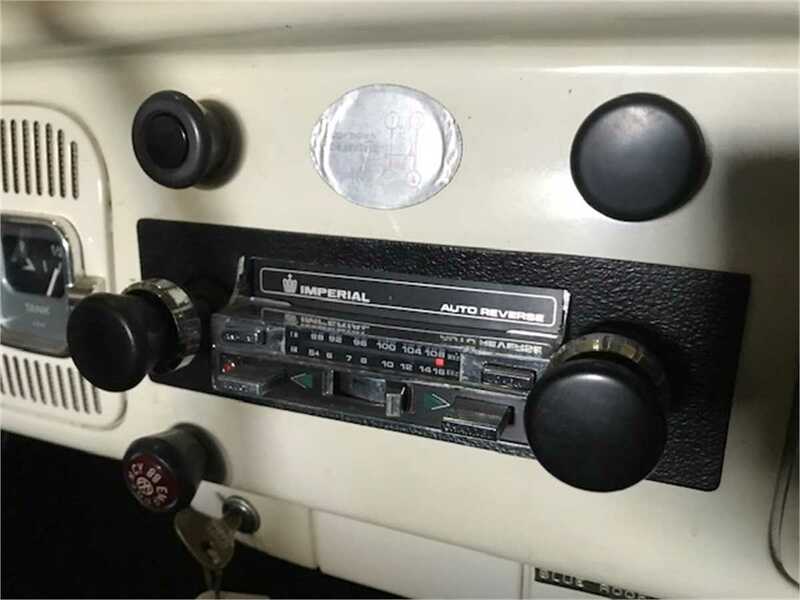 Aside from the police graphics and the driving lights, the only other modification we can see is the “Imperial” cassette player in the dash, which must’ve been pulled off the shelf from Mammoth Mart’s audio department circa 1977. 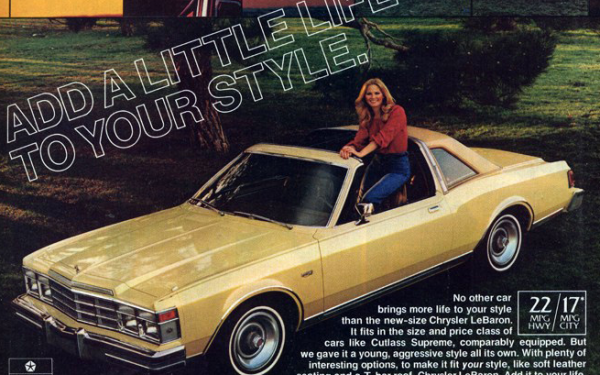 Same goes for the chrome wagon wheels that were fashionable for about 12 minutes in the early 1980s. There’s a bit of bad news for police enthusiasts: By law, the police radio and blue beacons will be removed prior to sale, but those are easy enough to replicate. Its the giant police hat that you’d never find in a million years. Overall, it’s in remarkably nice condition and would either be a great piece of local history or a unique display for a member of the Police Car Owners of America. At the moment bidding is at $7,100, with 15 days left to go. For more information, visit the auction listing at Muicibid. Thanks for the tip, Lydia Sampson!